What’s better than reading the newest and greatest books? Eating, drinking, talking and getting FREE BOOKS while you’re doing it! We all know as busy teachers that we NEED to gather new books and resources to engage our students in inquiry, introduce or consolidate ideas and concepts, or simply to immerse them in worlds other than their own. Yet finding the time to do so can feel challenging. We adore curating resources for teachers – it’s our superpower – and we are the best book pushers on the planet. 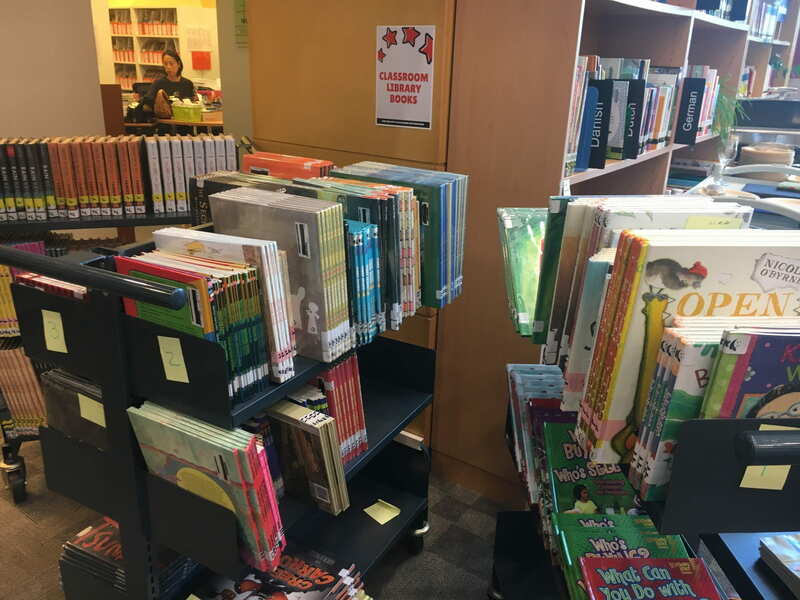 With over 50 boxes of spectacular new books arriving so far this school year, we knew we had to get them in teachers’ hands, STAT! 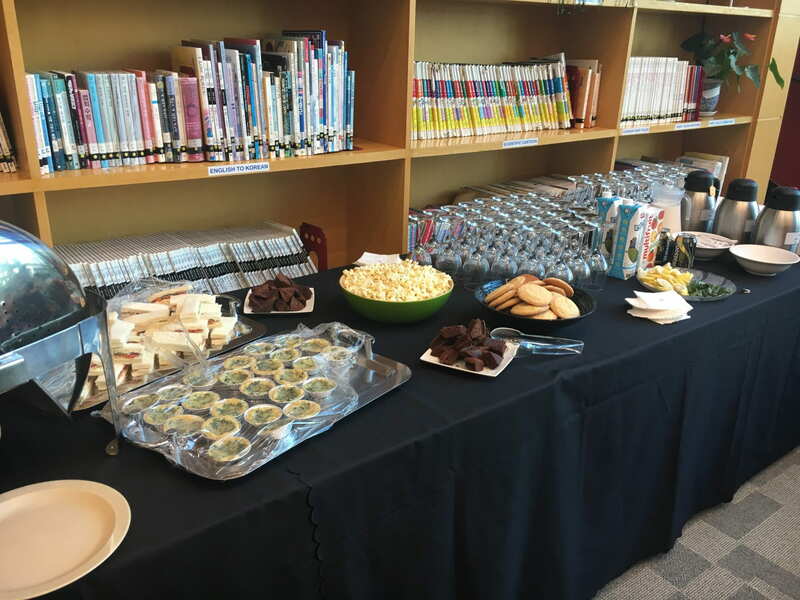 Thanks to this week’s staff development time being dedicated to team time, each of the grade levels had purposely allocated time to head on down to the library to feast upon hundreds of the latest arrivals to our collection. The delicious drinks (served in wine glasses to make us feel a bit fancier) and snacks (thanks to charity bakery, Bread of Life,) helped relax the atmosphere further. Once bellies were filled, and the book shopping began, you could see shoulders relaxing and people losing themselves in beautiful texts. 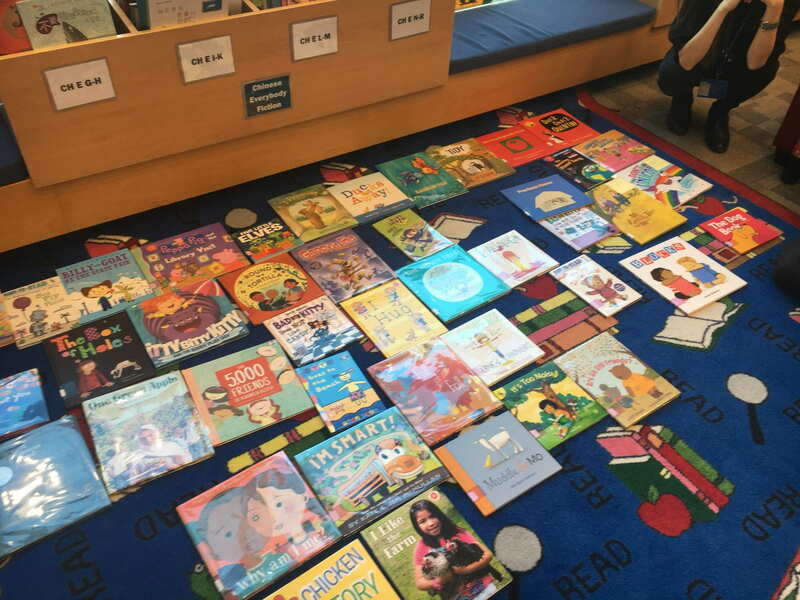 Teachers flowed through areas showcasing beautiful picture books aimed at our youngest learners, introductory non-fiction texts and onto challenging and engaging sophisticated picture books and narrative non-fiction. 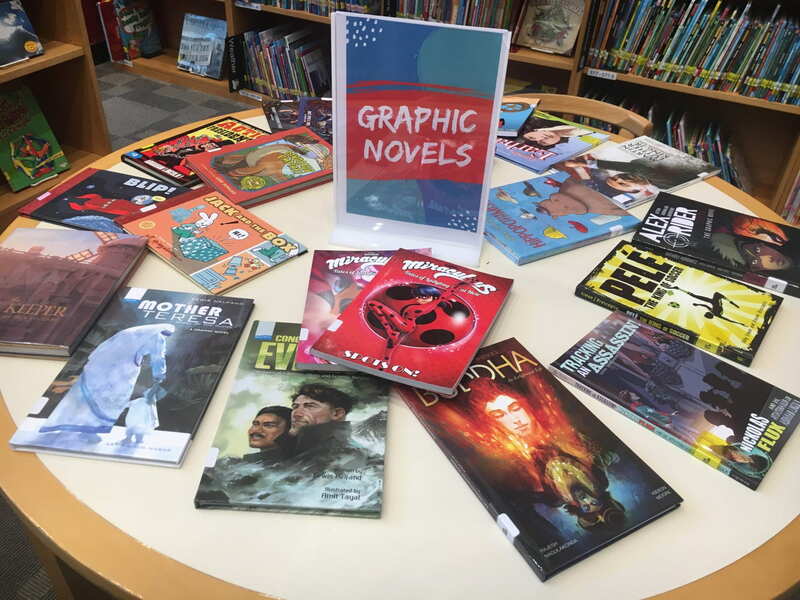 Deeper into the library were tables highlighting perfect read alouds, the perennial favorites in graphic novels and almost 200 genrified chapter books. 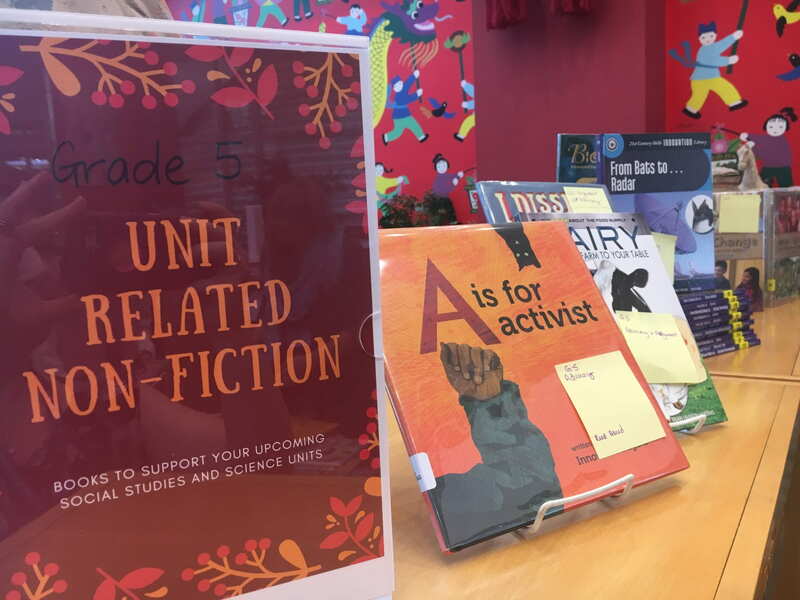 Along the tops of the non-fiction bookshelves were new books that were purchased to match grade level inquiry units and Writer’s Workshop units. 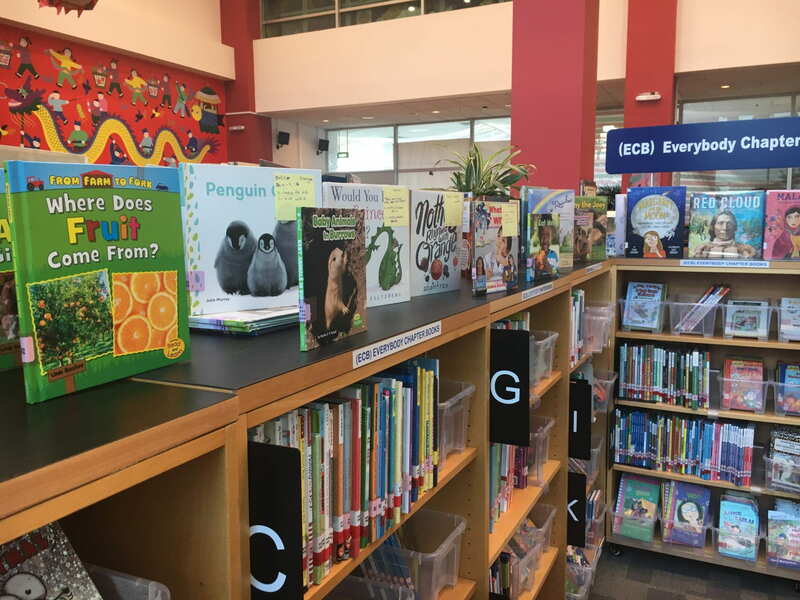 Along the edge of the library were new high interest non-fiction books across all topics and ages and projected in one of the teaching spaces was the QR code for teachers to sign up to RB Digital for both student and faculty magazines and newspapers. Three posters of QR codes, curated for their specific grade level: search engines, royalty free images, and databases. It was an incredible opportunity for us to connect with the teams we support, and to show them the ways new resources can complement their teaching. What a joy it was to have quiet, relaxed conversations about powerful books that have the potential to move students’ ideas and hearts. What a privilege it was to flesh out possible provocations for upcoming inquiry units and to provide easy and efficient ways to ensure ethical uses of information. Perhaps most happily of all was hearing teachers genuinely appreciate the dedicated time to relish browsing and borrowing without the need to simultaneously supervise students. We always have chocolate, we always have ideas, we always have books, and we will always make time.